For many young people, independence means not having a curfew or dating anyone you want. True independence, though, is having the financial ability to move out of your parent’s home, become self-supportive, and, most importantly, be able to pursue your dream of success. Economic factors today make it difficult for some to establish independence by getting a job; employment opportunities are still grim in many industries. What’s more, student loan debt may make it hard to earn enough with a paycheck to cover living expenses while paying back these loans. Don’t despair. Opportunities abound in entrepreneurship. Those brave enough to try are likely to succeed if they take things one step at a time. The 4th of July was weeks ago, but it’s not too late for you to sever your ties with your parent and/or a job to become an independent business owner. Understand the pros and cons of going down the path of entrepreneurship. Get the advice you need to move your business plans forward. Find more guidance from Staples on becoming independent. When you start a business, your silent partner is Uncle Sam. He takes a cut of whatever you make in the form of taxes. How you report your taxes and what you’ll owe depends on the type of entity you use for your business. You have several choices, including a sole proprietorship, a limited liability company (LLC), or a corporation. Taxes aren’t the only factor to use in deciding which legal format you’ll adopt. 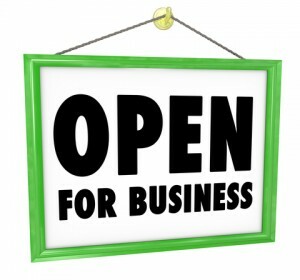 Keep in mind that you must be an LLC or a corporation to gain personal liability protection. Without this protection, or at least adequate insurance, you risk having creditors get at your personal assets. There’s more to getting started, including obtaining a tax identification number for your new business. Find out this and more from Staples. 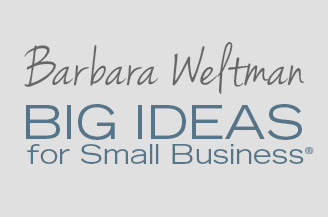 Having a great idea and setting up your business will only get you partway to your goal. You need to have enough capital to buy the equipment you need to get started, pay professionals for their advice, and pay your monthly costs, such as rent, utilities, and insurance, until the business is bringing in enough cash to cover your bills. Raising capital is one of the greatest challenges that many startups face. You have to convince a lender that you have the ability to repay a loan. You have to convince an investor to risk the money on you. The good news: There are people who want to support your vision if it makes good business sense. And there are new resources to help, such as crowdfunding. Find more from Staples about getting the funding you need. If you think you have the personality and ability to become your own boss, the road awaits. There are many people and resources to help you along the way. Don’t hesitate to ask for directions if you need the help. Good luck! What Is Mental Illness Costing Your Company? Is the Call Back Dead?